Hello, Darling. 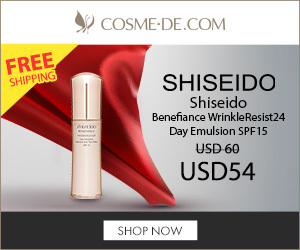 Where have you been? 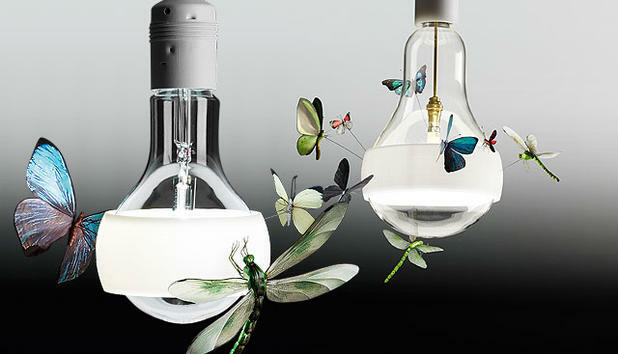 I absolutely adore these whimsical lights from Ingo Maurer and want to share it with my readers. 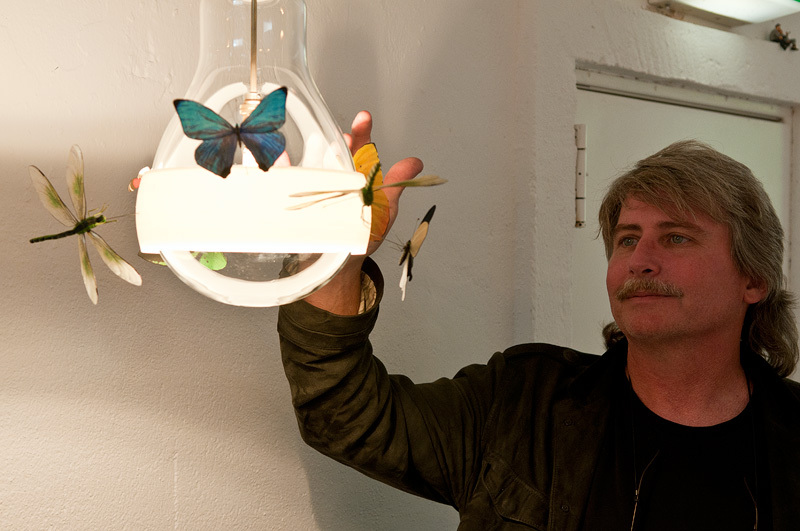 The Johnny B. Butterfly and the J.B. Schmetterling (Schmetterling is German for butterfly) lamps feature realistic butterflies, moths, and dragonflies created by California artist Graham Owen. The J.B. Schmetterling is the deluxe version of the smaller Johnny B. Butterfly. 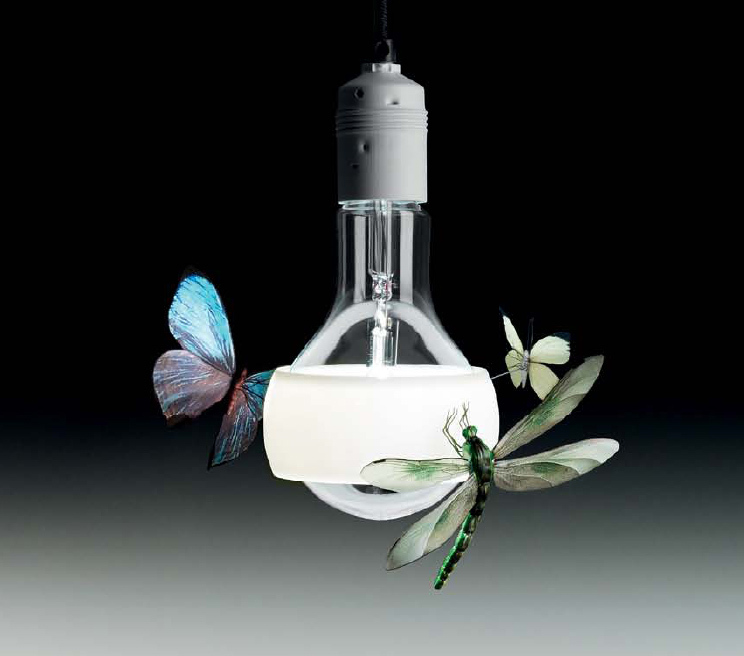 The larger J.B. Schmetterling (18.11″H x 12.59″DIA) is a limited edition fixture. The pendant lamp has a white 3D-printed ring shade that shields a 70 watt halogen bulb. 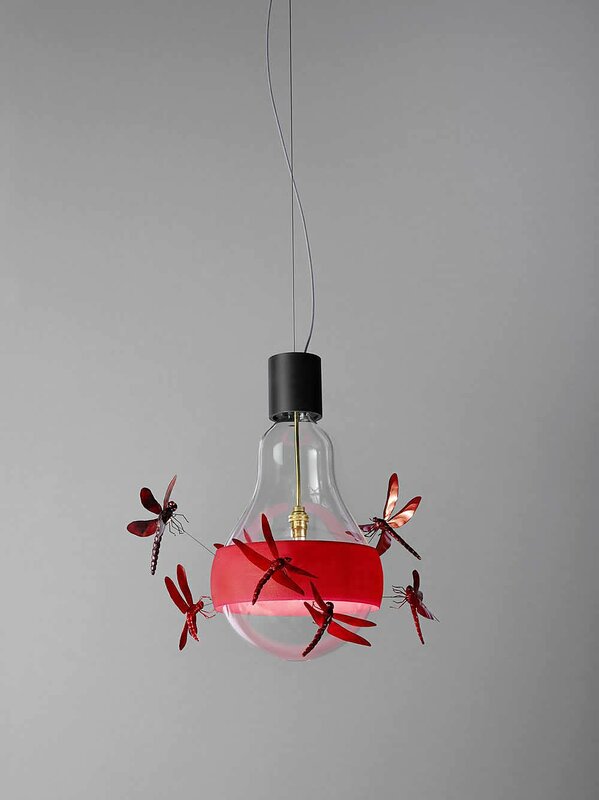 Eight, highly detailed, handmade insects are attached to the ring and seem to be attracted to the light. The smaller ​Johnny B. Butterfly sits a teflon ring with three insects. Both the light bulb and the teflon ring are the original ​Johnny B. Good fixture from Ingo Maurer. The ​Johnny B. Butterfly retails for $3,600 and the J.B. Schmetterling retails for $7,000.00. Also available in limited edition is the J.B, Dragonfly in red. Super cool lamp! It looks like fairytale lighting.